The city of Alexandria in the great state of Virginia is one special place. The city is home to exciting, distinctive neighborhoods with plenty of green park space. But don’t just take our word for it. Make up your own mind as you discover more of what this charming, thriving city has to offer residents. 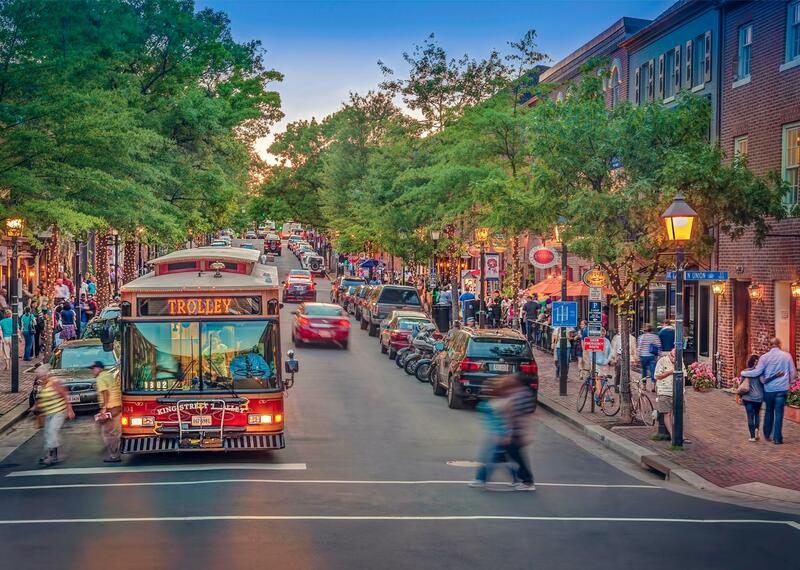 Here are 10 great things about living in Alexandria, Virginia. One of the things that makes Alexandria great are its diverse neighborhoods. And the most personality-infused one is Del Ray. Its shops and restaurants really make it stand out. Have a European-style meal at Cheesetique. Work up a sweat spinning at Swet Ride, tone up at Barre Tech or fit in some Pilates at Studio Body Logic. Grab a great cup of java at the ultra-hip M.E. Swing’s. We’d recommend finishing any visit to Del Ray with some creamy, Wisconsin-style custard at The Dairy Godmother. Either way, you’ll find fun and quirky shops in the area. Kingstowne is the perfect place to spend an afternoon at the movies. The massive Regal theater comes complete with luxurious stadium seating. After catching the latest flick, you’ll want to get a great meal at Panera or Bonefish Grill, and enjoy dessert at Kaleidoscoops Ice Cream. Strolling down one of Old Town’s streets will make you feel like you’ve stepped back in time with its cobblestone streets and quaint restaurants and shops. Explore George Washington’s adopted home town in this wonderful historic district. Even if you don’t want to shop or eat out, you’ll fall in love with just walking around and taking in the history. We promise. If your pooches are practically family, then Alexandria will be like heaven for both of you. Many shops in Del Ray and Old Town have treats and water bowls available. Head to PetSage for holistic dog treatments and all-natural food. The Dog Park is a great shop to stock up on clothing, food, and treats for your pooch. If you’ve got kids, they’ll love Alexandria. The community is all about celebrating families. You’ll want to spend these warm summer months at Cameron Run Regional Park. The park features water slides, a wave pool, and a shallow pool for little ones. If you’re looking for a fun historical field trip, head to George Washington’s Mount Vernon. The bottom line is that if you’ve got kids, Alexandria welcomes you. When you need to relax, Alexandria is home to great spas that you’ll appreciate when you need some R&R. The Sugar House Day Spa—a spa that’s housed in a 19th century home— perfectly encapsulates Alexandria’s history and gives you a chance to relax. Hang out in one of its chic lounges and then head inside to a treatment room to get massages, skincare, and salon treatments. The Lorien Spa includes five treatment rooms in a modern, soothing atmosphere. The spas represent another great perk of Old Town: you can choose to go modern or historical. Single people will love this place as much as families do. If you’re dating, Alexandria is the perfect place to go on dates. Take your honey to the art-centric Torpedo Factory, have a romantic dinner at Restaurant Eve, and then cap off your night with a cupcake from Alexandria Cupcake. The stunning Potomac River dominates the Alexandria skyline. If you want to participate in water sports, take a ferry over to D.C. Or just enjoy the beautiful views! If living by the water is your dream, this city is where you’ll want to dwell. Water-loving people aren’t the only ones who will love Alexandria. The city is also home to a fair share of parks that you’ll love too. Jones Point Park, Oronoco Bay Park, and Eugene Simpson Stadium Park are gorgeous spaces where you’ll want to spend a warm afternoon. Alexandria is home to a stellar dining scene. You can go upscale at award-winning options such as Restaurant Eve or BRABO or keep it laid back at fish-and-chips joint Eamonn’s. Head to Port City for some high quality, local craft beer. Sugar Shack and Krispy Kreme both churn out warm, delicious doughnuts that you’re sure to love. Now that you know what a great community Alexandria is, you’ll need a home that’s equally as great as the city. You can find that home at The Frasier. For more information, Contact us.